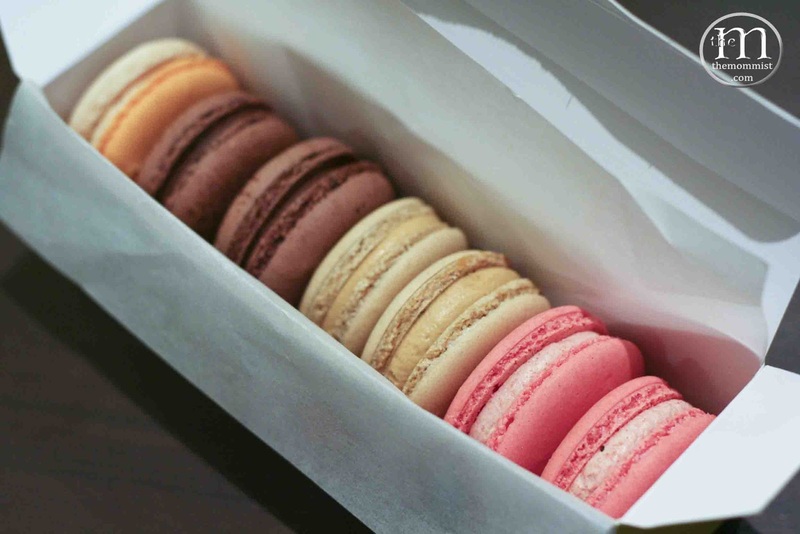 While walking along Serendra after dinner last week, my youngest son asked if we could stop by Chez Karine to buy some macarons. I happily obliged as I was in need of some pudding myself. 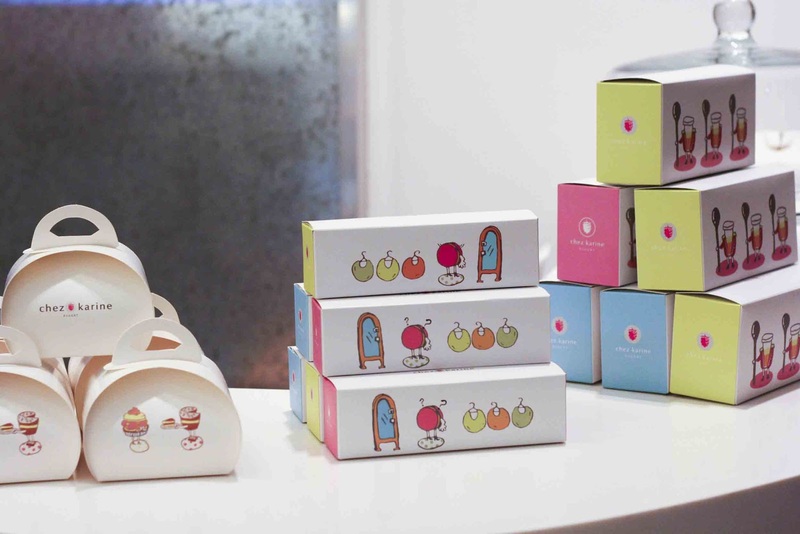 I first learned about the now famous bakery from Dessert Comes First a few months ago. 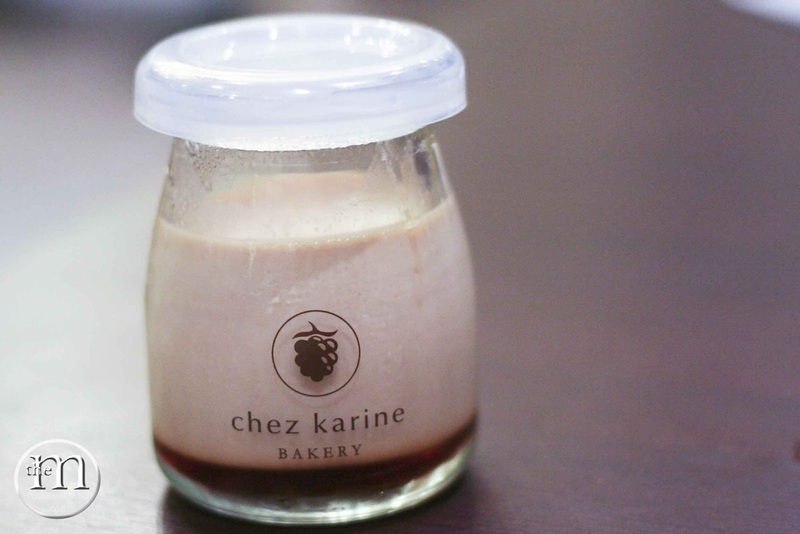 Lori Baltazar's description of Chez Karine's macarons are too enticing to ignore. 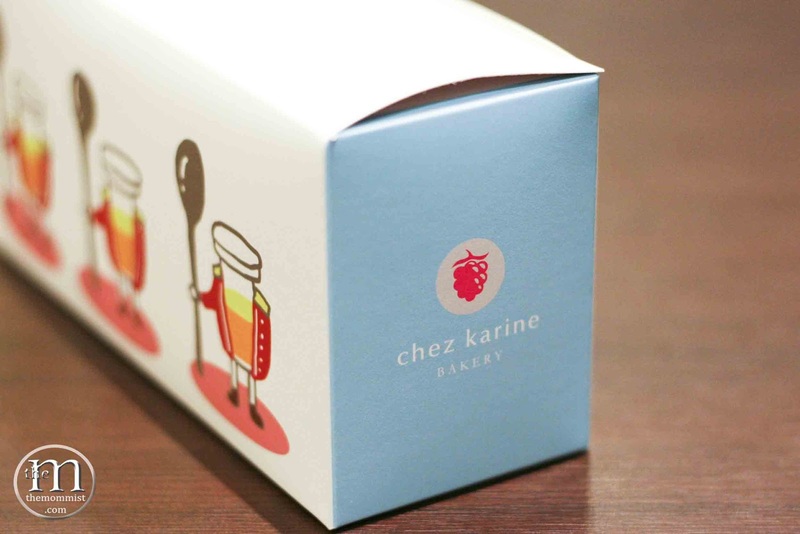 Apparently, the owner, Karen Yang is a Stanford alumna who later enrolled at Le Cordon Bleu and interned at the distinguished French macaron haven Pierre Hermé. 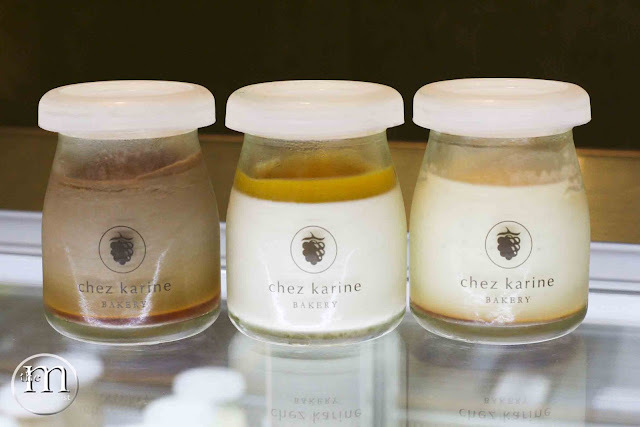 Sandwiched between a gelateria and another bakeshop, Chez Karine is easily noticeable despite the simplicity of its facade and signage (which I really like, by the way). The interior looks very Pinteresting. The light background actually makes an excellent contrast to the colorful macarons inside the glass display. J7 (youngest son) already knew which flavors he wanted among the 10 flavors (Dark Chocolate, Strawberry, Lemon, Salted Caramel, Earl Grey, Milk Chocolate Passionfruit, Mint Chocolate, Coffee, Peanut Butter, and Pistachio) they have so it didn't take him long to choose. They have actually added a couple of new flavors since we last visited. I hope that Chef Yang will consider the idea of incorporating a Filipino twist to the French almond cookies by recreating them in local flavors such as champorado and macapuno. J7's box of seven - Strawberry, Salted Caramel, Dark Chocolate, and Peanut Butter. 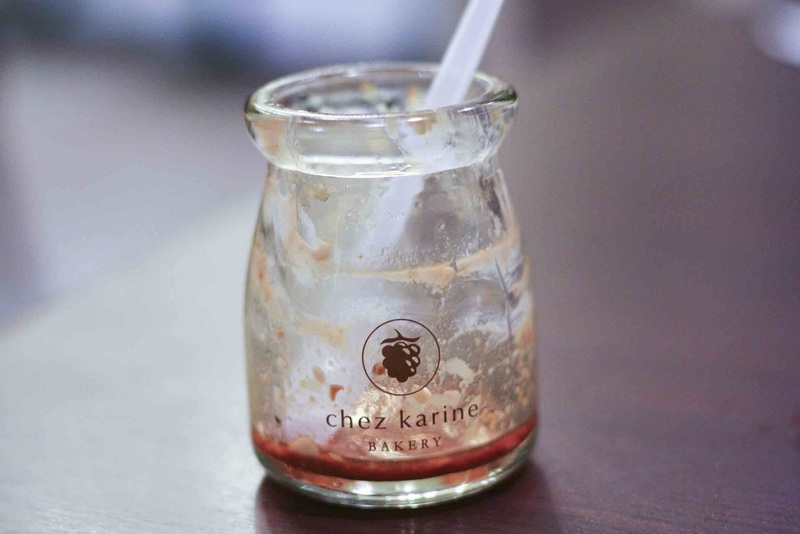 What we love most about Chez Karine's macarons is the fact that they're not too sweet. It doesn't have the kind of sweetness that can irritate one's throat after two bites. The thin crust is smooth and breaks easily giving way to a chewy meringue and a light filling. 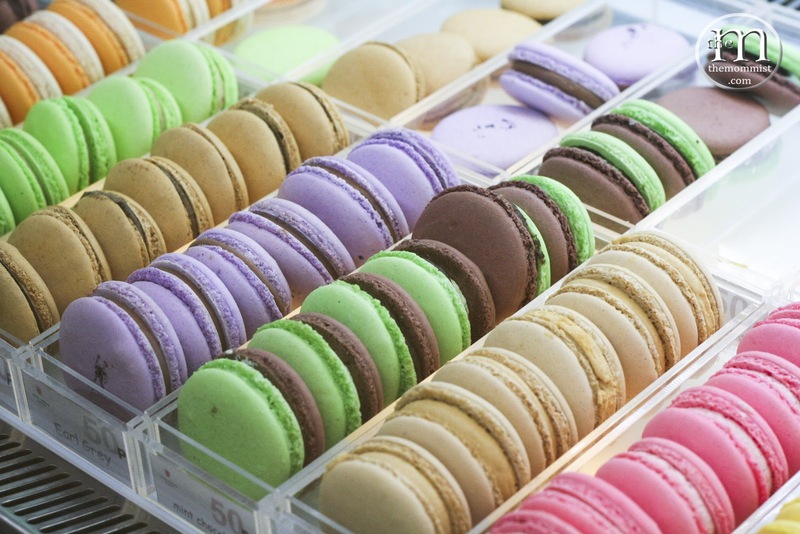 We also like that they have an ample amount of filling too! 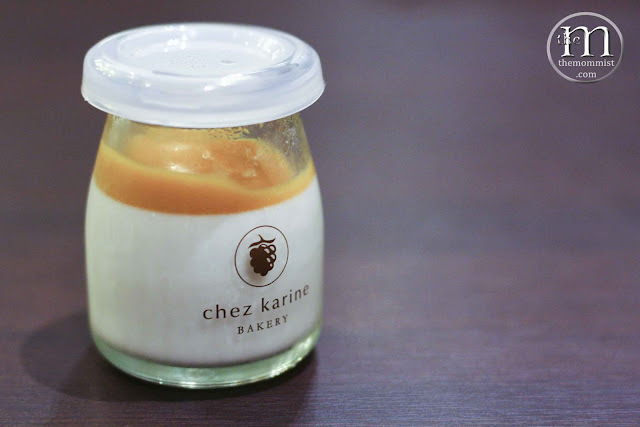 We were already smitten by the puddings and panna cotta even before we got a teaspoonful of them because of the beautiful mini-vintage-milk-bottle-like containers. Too cute! They have two variations of the panna cotta toppings - mango and strawberry. The one below is my second favorite. They ran out of strawberry panna cotta when we went there. Both the strawberry and mango panna cotta are good. I just prefer the strawberry over the latter simply because I like strawberries better. Sans the coulis, the base is a wonder on its own. 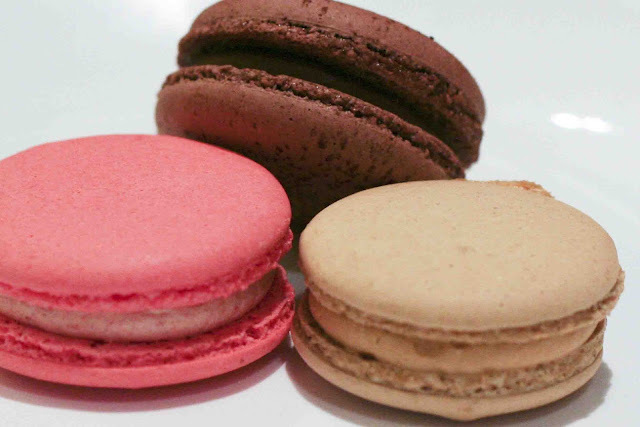 Velvety smooth, creamy, and again, not too sweet. Really good! Save the best for last, of course! 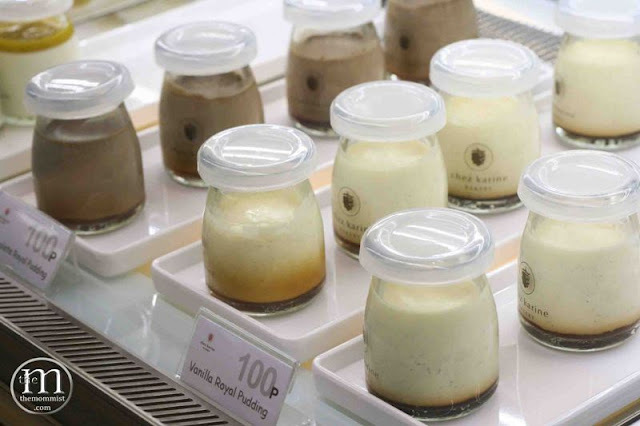 The Muscovado pudding is my favorite amongst all three flavors. Why? Well, first of all, I've always had a strong penchant for the unrefined sugar. I put it in my coffee along with some flax seed thrice a day. Secondly, it is just really good! It certainly provides a lasting contentment. It has a coarser texture and a rich taste but not satiating. I can easily finish three bottles in one sitting, thank you very much! Like the others, this one is again subtly sweet in spite of its rich brown sugar flavor. The taste of the muscovado becomes more evident as you eat it. Once you're near the bottom of the bottle (caramelized sugar), the flavor shifts to that of a leche flan.